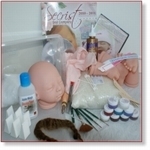 Course #2 Starter kit includes all the supplies and training to make a preemie size reborn baby. In Course #3 you'll learn the secrets beginners need to know to be successfull. All the basics you need to start rooting hair. 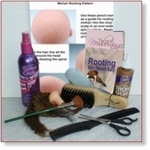 Everything needed to start rooting hair and eyelashes! As seen in our Genesis Painting DVD. Nine paints in all. 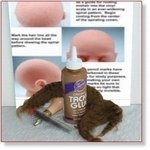 As seen in our Genesis Paints DVD. Everything you need to get started. 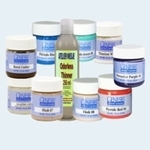 6311 - Paint set : Real Effect Color SET 8x40ml. 6312 - Paint set : Real Effect Color SET 9x40ml. 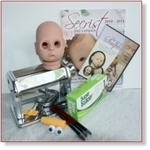 6313 - Sculpting Kit: Art of Sculpting Mini baby 6"
Start sculpting today with the best training DVD and kit available!